Martin’s versatile LED Stagebar 2 luminaire is bright… yet so much more. The Stagebar 2 powers out almost 10,000 lumens per meter, and with a tighter field of light 10 times the intensity of the predecessor Stagebar 54, it’s an extremely bright LED fixture. But that’s just the beginning. 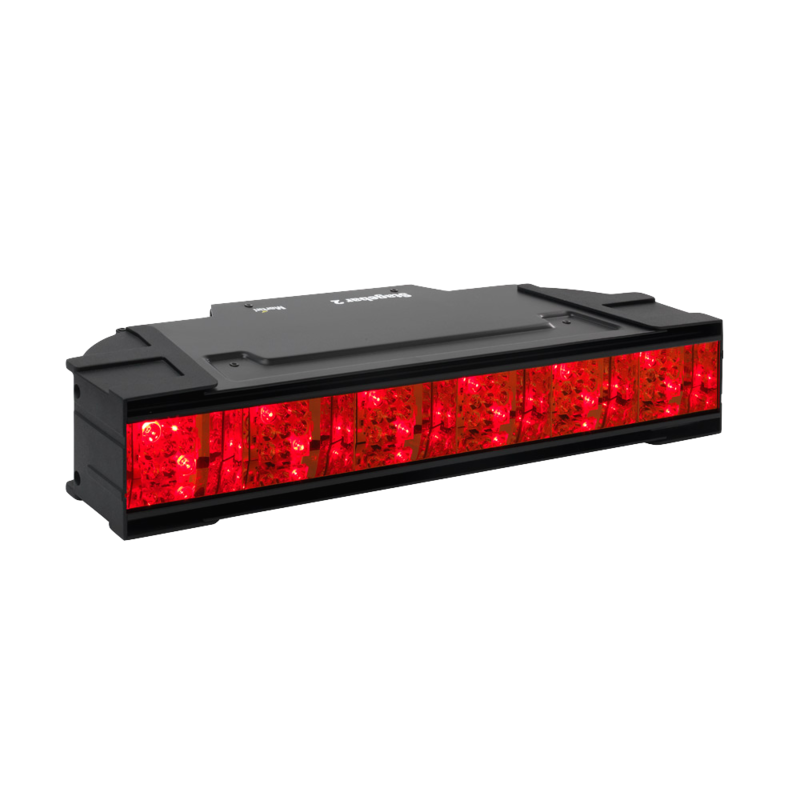 Useful as an LED pixel bar for displaying imagery and video or as a wash luminaire for floodlighting surfaces and stages, the Stagebar 2 offers an outstanding color palette from an RGBAW color system.A central feature of the Stagebar 2 is the ability to create exceptionally even and consistent colors. Each diode has been color calibrated, guaranteeing standardized bright- ness and color performance.